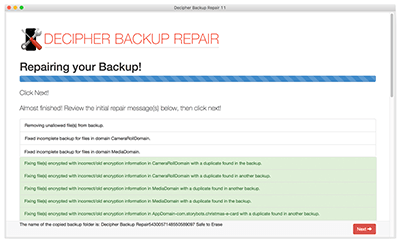 Fix Corrupt iPhone Backups with Decipher Backup Repair. iTunes could not restore the iPhone because the backup was corrupt or not compatible with the iPhone that is being restored. iTunes could not restore the iPhone because the iPhone disconnected.